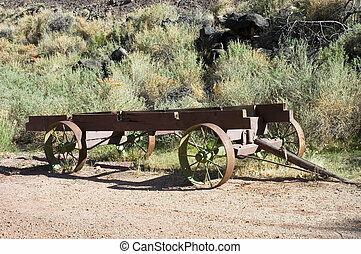 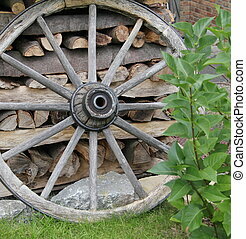 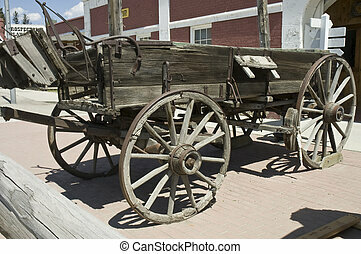 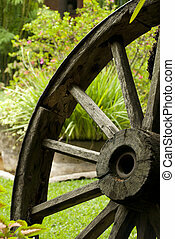 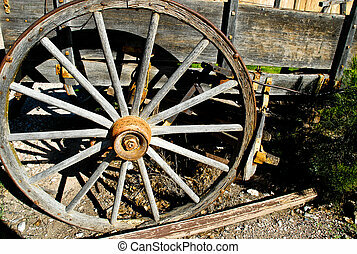 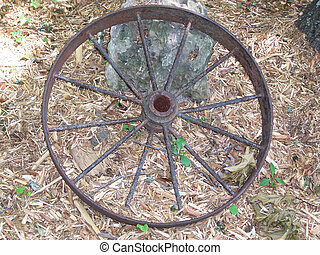 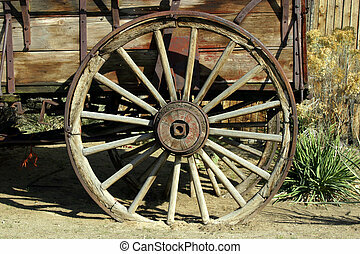 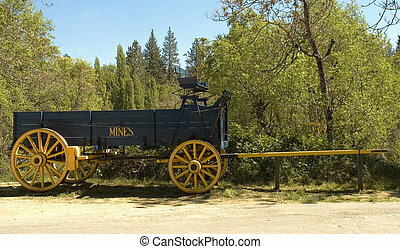 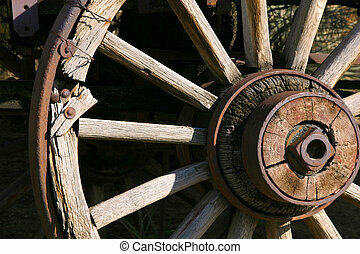 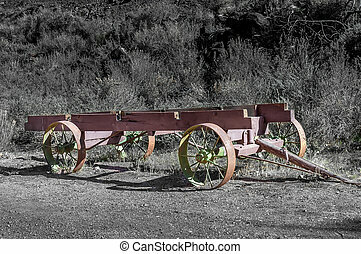 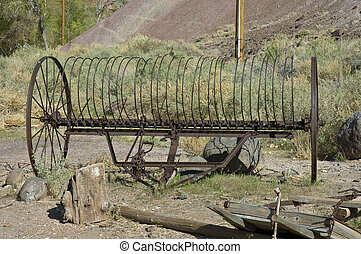 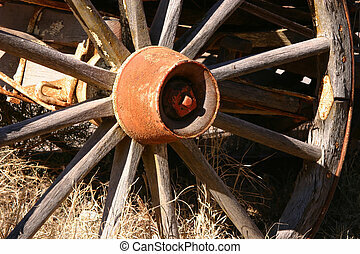 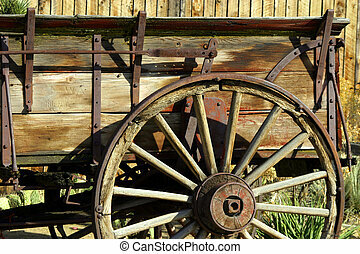 Antique rusty wagon wheel. 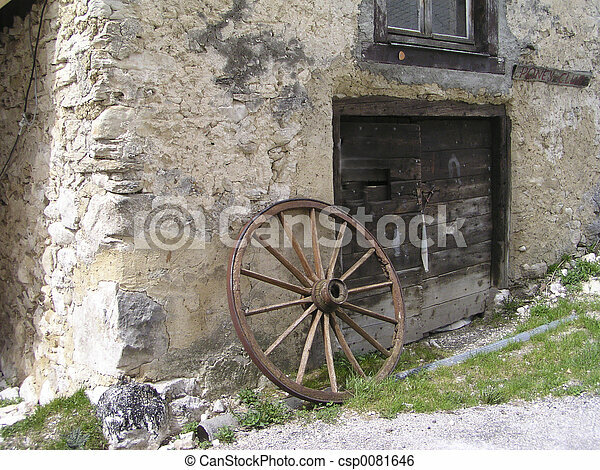 A very old and rusty wheel from a wagon in a french old village. 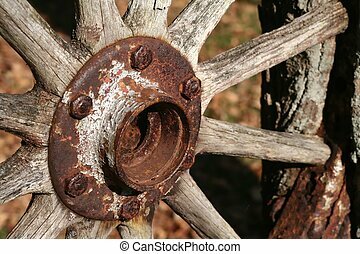 Close up of an old rusty wagon wheel. 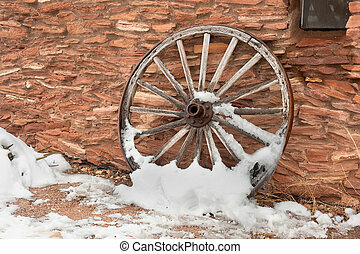 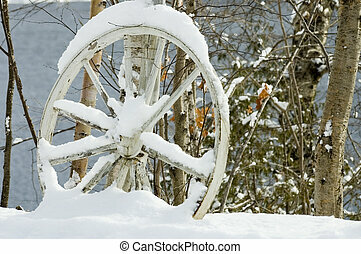 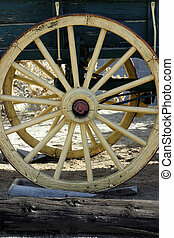 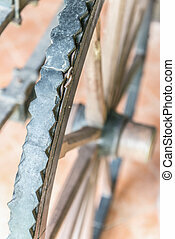 An old, antique wagon wheel covered in snow rests against a ranch facility wall. 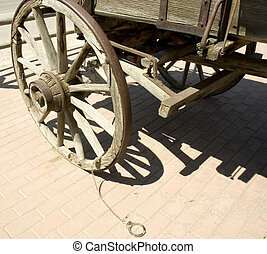 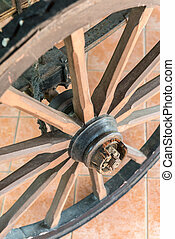 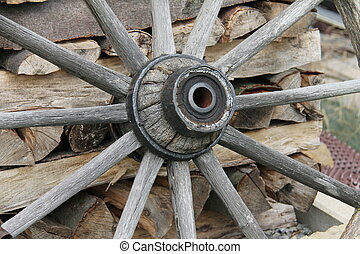 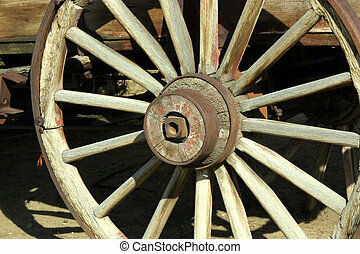 Cuffs on a wagon wheel used to tie thieves in the old time in Montana.